The lifelong Catholic teases his new project. 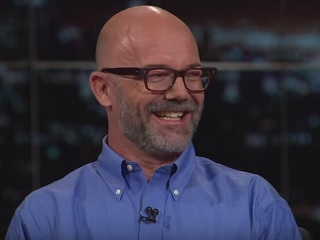 The first viewer question during last night’s “Overtime” portion of Real Time With Bill Maher was for Andrew Sullivan. To the query ‘What are you working on, now that you’ve retired from blogging?’ Sullivan replied a book about Christianity. As Sullivan recalled earlier this year, the inscription for his first book Virtually Normal is dated to the 1993 day he was diagnosed as HIV-positive. I wrote under the assumption that it would be the only book I would ever write. Sullivan’s last book, Intimations Pursued, was published in 2007. In the podcast, he talks in more detail about the new project.